The 1pm afternoon lessons are designed to improve skills, confidence and technique. This is the perfect lesson designed to take their skiing to the next level. 9:30am lesson available for first timers only. 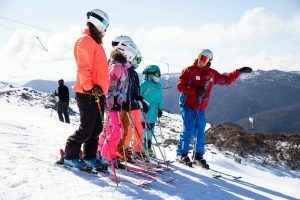 Half day of lift access from 1pm the day prior to the first day selected is available for a $20 upgrade on all 3 to 7 of 9 Day Child Lift & Lesson products.